Gain back valuable space on your computer by storing files on File Ark. Try it out with 1 GB for free, no credit card required. Features a) Drag n' Drop - Drag n' Drop any amount of files or folders for storage; b) Save Space - Have the option to delete the local files and save space after the upload is successful; and c) Upcoming - File Suggestions - The app will automatically suggest large/unused files that you can either delete or upload to File Ark. This will be added to World Wide Web Reference Subject Tracer™. This will be added to Business Intelligence Resources Subject Tracer™. This will be added to Entrepreneurial Resources Subject Tracer™. This will be added to the tools section of Research Resources Subject Tracer™. Features include: a) Easiest way to embed charts in email or bot - No need to spend hours to setup and develop a complex server-side solution. We spent days tuning our chart generation backend so you don't have to. One url = one chart; 2) Gifs in email = awesome - Delightful effect guaranteed, communicate better with animated charts in your reporting emails. No more server-side gif rendering, headless browser tricks and painful email attachements. They do the hard work. You get the benefits; 3) Google Image Charts Drop-In replacement - Google Image Charts is deprecated since 2012, not supported since 2015 and can be shutdown anytime soon. Image-charts aims to be fully compatible with Google Charts API while still extending it. Don't build on unstable foundation; and 4) Reliable and blazing fast - Making chart generation fast at scale is hard. <500ms 3="" 99="" a="" added="" around="" be="" everywhere="" href="http://www.wwwreference.info/" months.="" over="" past="" the="" this="" to="" uptime="" will="" world="">World Wide Web Reference Subject Tracer™. This will be added to Business Intelligence Resources Subject Tracer™. This will be added to Entrepreneurial Resources Subject Tracer™. This will be added to the tools section of Research Resources Subject Tracer™. 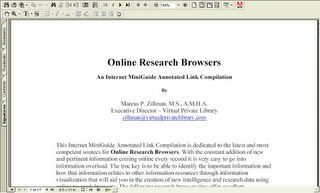 Internet MiniGuide Annotated Link Dataset Compilation white paper titled "Online Research Browsers 2019" a 21 page research paper listing many resources both new and existing that will help anyone who is attempting to find information and knowledge research about online research browsers available on the Internet. 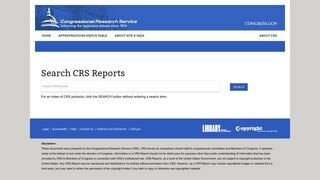 These research browsers allow you to visualize information to find new relationships and associations to create knowledge discovery and obtain new and highly relevant research data. 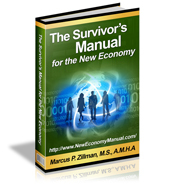 It is freely available as a .pdf file (184KB) at the above link from the Virtual Private Library™ and authored by Marcus P. Zillman, M.S., A.M.H.A. It was updated with all links validated on April 15, 2019. Other white papers are available by clicking here. Manyverse is a social network mobile app with features you would expect: posts, threads, likes, profiles, etc. But it's not running in the cloud owned by a company, instead, your friends' posts and all your social data live entirely in your phone. This way, even when you're offline, you can scroll, read anything, and even write posts and like content! When your phone is back online, it syncs the latest updates directly with your friends' phones, through a shared local Wi-Fi or on the internet. 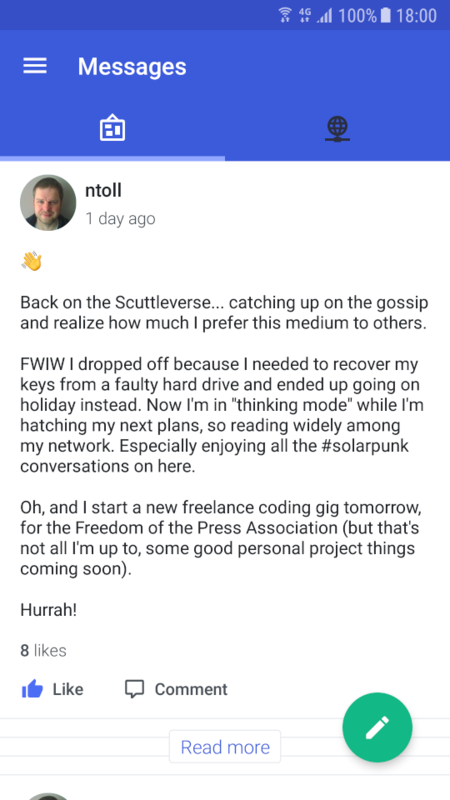 They are building this free and open source project as a community effort because they believe in non-commercial, neutral, and fair mobile communication for everyone. This will be added to Social Informatics Subject Tracer™. This will be added to World Wide Web Reference Subject Tracer™. This will be added to Business Intelligence Resources Subject Tracer™. This will be added to Entrepreneurial Resources Subject Tracer™. This will be added to the tools section of Research Resources Subject Tracer™. LabXchange accelerates the learning of biology and biotechnology. They facilitate discovery and an authentic experience of the scientific process. They create and curate world-class digital content, delivered on a platform that seamlessly integrates the sharing of learning and research experiences. On LabXchange, users take control of their learning and solve real-world problems together. LabXchange is built on an open-source platform, and membership will always be free. This will be added to BioTechnology Resources Subject Tracer™. This will be added to World Wide Web Reference Subject Tracer™. This will be added to Business Intelligence Resources Subject Tracer™. This will be added to Entrepreneurial Resources Subject Tracer™. This will be added to the tools section of Research Resources Subject Tracer™. Follow friends and discover new ones among more than 2M people. Publish anything you want: links, pictures, text, video. All on a platform that is community-owned and ad-free. Mastodon isn’t just a website, it is a federation—think Star Trek. Thousands of independent communities running Mastodon form a coherent network, where while every planet is different, being part of one is being part of the whole. Mastodon comes with effective anti-abuse tools to help protect yourself. Thanks to the network's spread out and independent nature there are more moderators who you can approach for personal help, and servers with strict codes of conduct. You have 500 characters. You can adjust the thumbnails of your pictures with focal points. You can use custom emojis, hide things behind spoiler warnings and choose who sees a given post. Messed it up? You can delete & redraft for quick corrections. This will be added to Social Informatics Subject Tracer™. This will be added to World Wide Web Reference Subject Tracer™. This will be added to Business Intelligence Resources Subject Tracer™. This will be added to Entrepreneurial Resources Subject Tracer™. This will be added to the tools section of Research Resources Subject Tracer™. The above is the associated white paper link dataset compilation of the Information Quality Resources 2019 Subject Tracer™ Information Blog by Marcus P. Zillman, M.S., A.M.H.A.. 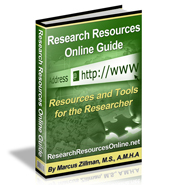 It is a freely available 20 page .pdf document (684KB) listing the latest and greatest online resources and sites for quality information resources! 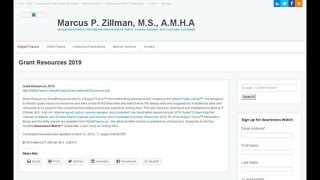 Completed updated including all link validation and new links added on April 10, 2019. Other white papers are available by clicking here. 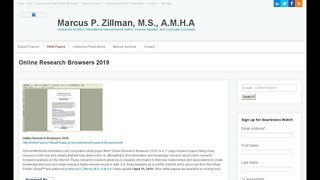 I have just updated my white paper link compilation on Finding Experts By Using the Internet 2019. This is now a 22 page .pdf file (679KB) and freely available from the above URL. Finding Experts By Using the Internet is dedicated to giving you internet sources to discover that needed expert(s) that you have been looking for. The Internet is a vast global resource of knowledge created by experts and the ability to find and contact these experts is extremely important for both academic activities as well as business and special interest needs. 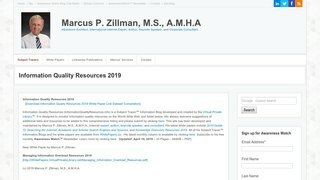 [Completely updated including all links validated and new links added on April 9, 2019; 22 pages 679KB .pdf]. Additional white papers available by clicking here. diaspora* is based on three key philosophies: 1) Decentralization - Instead of everyone’s data being held on huge central servers owned by a large organization, diaspora* exists on independently run servers (“pods”) all over the world. You choose which pod to register with, and you can then connect seamlessly with the diaspora* community worldwide. ; 2) Freedom - You can be whoever you want to be in diaspora*. Unlike some networks, you don’t have to use your real identity. You can interact with people in whatever way you choose. The only limit is your imagination. diaspora* is also Free Software, giving you liberty over how you use it; and 3) Privacy - In diaspora* you own your data. You don’t sign over rights to a corporation or other interest who could use it. In addition, you choose who sees what you share, using Aspects. With diaspora*, your friends, your habits, and your content is your business ... not theirs! This will be added to Social Informatics Subject Tracer™. This will be added to World Wide Web Reference Subject Tracer™. This will be added to Business Intelligence Resources Subject Tracer™. This will be added to Entrepreneurial Resources Subject Tracer™. This will be added to the tools section of Research Resources Subject Tracer™. 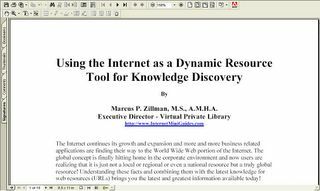 Research white paper titled "Using the Internet As a Dynamic Resource Tool for Knowledge Discovery 2019" is a 18 page research paper listing many resources both new and existing that will help anyone who is attempting to perform information and knowledge research and discovery on the Internet. It is freely available as a .pdf file (1.61MB) at the above link from the Virtual Private Library™ and authored by Marcus P. Zillman, M.S., A.M.H.A. It was updated with all links validated and new links added on April 8, 2019. Other white papers are available by clicking here. Dana is a personal assistant that helps you build stronger relationships. Remember Better - Ask Dana about your contacts and she'll send relevant notes and history. Do this right in messenger. 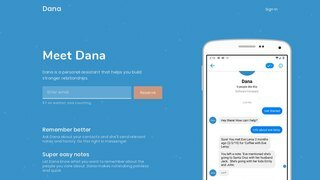 Super Easy Notes - Let Dana know what you want to remember about the people you care about. Dana makes notetaking painless and quick. Stay in Touch - See your full relationship history and set reminders to reach out. Add your meetings and Dana will suggest who to follow-up with. Before your next meeting, see your relationship history and the last time you met. Dana helps you be thoughtful and remember details like kids' names, recent promotions, and life events. Set reminders to reach out or have Dana remind you to follow-up. You can also organize contacts with tags and by location. Make planning out-of-town visits easier. How Dana Works: 1) Let Dana know - Let Dana know who you want to keep track of. Get started by importing contacts from Gmail, LinkedIn, iCloud, or Outlook or just let Dana know when you have a new contact; 2) Leave a note - After you finish a meeting, let Dana know if there's anything you want to remember. You can do this online or in Messenger; and 3) Ask Dana - Getting information from Dana is super easy. Ask 'what did I do with John?' and you'll have your relationship history in one place. This will be added to World Wide Web Reference Subject Tracer™. This will be added to Business Intelligence Resources Subject Tracer™. This will be added to Entrepreneurial Resources Subject Tracer™. This will be added to the tools section of Research Resources Subject Tracer™. Hittly is a community software for creators to build an audience and sell memberships & online courses. zero transaction fees, and unlimited everything. With Hittly, you can write your thoughts out, help your audience solve their problems and start building your own loyal army of followers. Features include: 1) Rich text editor to write, edit and publish your articles; 2) Embed Images and Video without leaving the editor; and 3) Use your own domain name to host your community. Now, use the power of community, and encourage others to share their knowledge with these resources: a) Powerful community features including user comments and favorites; b) Youtube like feed with images and videos; c) Vote based sorting allows your users to vote and bring the best posts to the top; and d) Use Tags to filter content without having to go through the entire pile. Monetize your community by 1) Sell memberships for users to access your community, courses and content; 2) Show ads and make some money on the side; and 3) Sell online Courses to your members. This will be added to World Wide Web Reference Subject Tracer™. This will be added to Business Intelligence Resources Subject Tracer™. This will be added to Entrepreneurial Resources Subject Tracer™. This will be added to the tools section of Research Resources Subject Tracer™. The Internet is now filled with plagiarized content, and it is a concern for everyone. Whether you’re a student, teacher, professional writer, website content writer, or copywriter, our Plagiarism Checker is for you. It’s fast, accurate and gives you unlimited access to check plagiarism for free. With the Plagiarism Checker you’ll be free of worry or doubt about your writing or document. Send in your term paper, essays, thesis, or research paper with confidence! Features include: a) Advanced Technology - Using advance search mechanisms, our plagiarism checker searches your text against websites, scholarly journal, articles, and archives; b) Easy Process - We have a simple process for checking plagiarized papers. Just copy paste your text into the given box or upload your file. Click on the button “Check Plagiarism” and you get your plagiarism report with Plagiarism Checker Free; c) Free Plagiarism Checker - You don’t have to pay a dime for getting your term paper, research article or thesis checked. There are no restrictions to the number of checks you want to conduct; and d) Comprehensive Report - Get a comprehensive plagiarism check report organized by source links, and percentage. 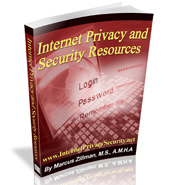 This will be added to Privacy Resources Subject Tracer™. This will be added to World Wide Web Reference Subject Tracer™. This will be added to Business Intelligence Resources Subject Tracer™. This will be added to Entrepreneurial Resources Subject Tracer™. This will be added to the tools section of Research Resources Subject Tracer™. 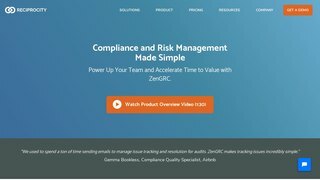 Power Up Your Team and Accelerate Time to Value with ZenGRC. Features include: a) Simple Deployment - Rapidly deploy a risk management and compliance program so you can focus on the security in information security compliance; b) Unified Control Management - Map controls across multiple frameworks for visibility into defense mechanism strengths and weaknesses; and c) Centralized Dashboard - Access key metrics to build a compliance program that responds to the protection your information security program provides. This will be added to Privacy Resources Subject Tracer™. This will be added to World Wide Web Reference Subject Tracer™. This will be added to Business Intelligence Resources Subject Tracer™. This will be added to Entrepreneurial Resources Subject Tracer™. This will be added to the tools section of Research Resources Subject Tracer™. Oscobo is a search engine created for the sole purpose of protecting your privacy while you search the web. Google knows and sells what you are searching. Google knows the questions that people wouldn't dare ask aloud, and it silently offers reams of answers. Most search engines store every single search term you type and that they create a profile based on your search history. They place you in boxes based on a socioeconomic portraits. Your entire search history is kept for months in a way that is traceable back to you or those in your family. Additionally, the privacy policies of the most popular search providers state that your search history may be associated with any account or email address you maintain with them (think your Google, Microsoft, or Yahoo accounts). Oscobo was designed specifically to protect you from the prying eyes of both large corporations and anyone trying to get access to your private information. 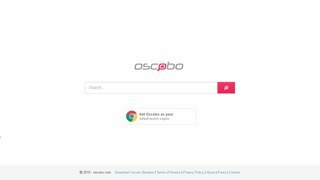 Oscobo will allow you to search the web with confidence! Oscobo doesn't store your personal information and will never ask you to provide it for any of our search services. They respect your privacy completely and help keep you safe from those who don't. All traffic routed through Oscobo's search engine is SSL encrypted. Meaning your connection between the browser and Oscobo's servers are encrypted. They have also taken their encryption a few steps further by implementing Perfect-Forward Secrecy with our SSL implementation and encrypted your search queries locally to ensure that no one will be able to intercept or decrypt your search queries. They don't use any third-party scripts or analytics on our search engine which protects you from other companies attempting to track your activity. They also don't show your search in the page title or meta information so it never shows up in your browser history. This will be added to Privacy Resources Subject Tracer™. This will be added to World Wide Web Reference Subject Tracer™. This will be added to Business Intelligence Resources Subject Tracer™. This will be added to Entrepreneurial Resources Subject Tracer™. This will be added to the tools section of Research Resources Subject Tracer™. 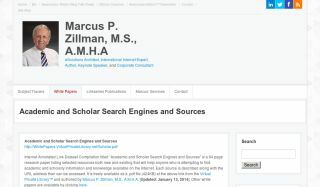 Internet Annotated Link Dataset Compilation titled "Academic and Scholar Search Engines and Sources" is now a 78 page research paper listing selected resources both new and existing that will help anyone who is attempting to find academic and scholarly information and knowledge available on the Internet. Each source is described along with the URL address than can be accessed. 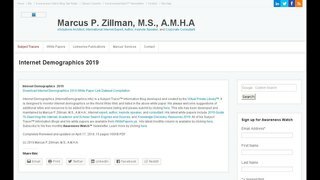 It is freely available as a .pdf file (928KB) at the above link from the Virtual Private Library™ and authored by Marcus P. Zillman, M.S., A.M.H.A. 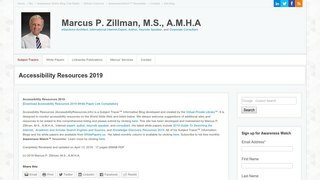 [Completely Updated with all links validated and new URLs added: April 1, 2019]. Other white papers are available by clicking here. I have just updated my white paper link dataset compilation and now titled Deep Web Research and Discovery Resources 2019 and it is now a 64 page 787KB PDF document freely available directly from the above URL. 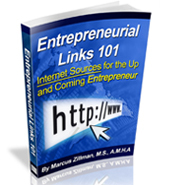 This update verified all links as well as reviewed all resources covered including adding additional links. Currently this has been downloaded over 7,000,000+ times! Based and designed in Europe, Qwant is the first search engine which protects its users freedoms and ensures that the digital ecosystem remains healthy. Their keywords: privacy and neutrality. This will be added to Privacy Resources Subject Tracer™. This will be added to World Wide Web Reference Subject Tracer™. This will be added to Business Intelligence Resources Subject Tracer™. This will be added to Entrepreneurial Resources Subject Tracer™. This will be added to the tools section of Research Resources Subject Tracer™.